November 3rd, 2017 | in Nursery news. On 20 October 2017, for the 8th year running, Alpine Nurseries successfully organised the HeartKids Garden Tour, raising $27,000 for the registered charity that helps fight Childhood Heart Disease (CHD). 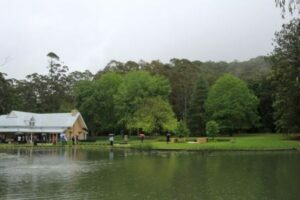 With 108 guests in attendance the tour revealed incredible gardening excellence on the Central Coast of NSW. 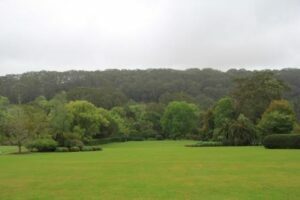 This year, five private gardens were on display, from Bateau Bay to Somersby. Each garden was unique and provided experiences of diversity in styles, locations, garden maturity and plant selection. 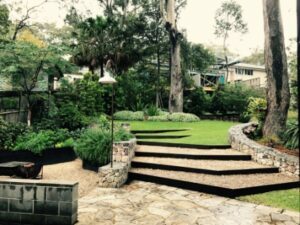 Supporting HeartKids is close to Alpine Nurseries Managing Director, Peter Knox and family who organise the garden tour as their way of giving back and sharing their passions for landscapes. The Knox family know first-hand the extraordinary work of HeartKids, as their own grandson, now 11 years old, was born with congenital heart disease. In Bateau Bay, guests experienced an urban backyard setting, designed by James Headland from Pangkarra Design. Recycled materials and an interesting array of plant selection delighted guests at this intimate coastal garden. James Headland described his aim in creating usable spaces and conscious screening to grow privacy from neighbouring properties. A ‘gardeners garden’, with clever use of levels and space, it was clear this property has been created with relaxation in mind. The second stop was an expansive private weekender in Matcham, designed by Christopher Owen. 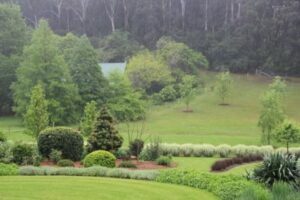 This young garden on acreage, planted earlier this year, has been featured in an episode of the ABC’s Dream Gardens show. On tour, Christopher Owen shared his design principles and approach to the property as an edit of the landscape. Private, tranquil and minimalist, the weekender featured a dominance of the grass Pennisetum Nafray. To listen to Christopher Owen’s presentation, click here. By contrast, the third property, an acreage garden of park-like proportions in Matcham, was designed by Michael Cooke, who commenced working this mature garden over 15 years ago. Pallets of colour, where bush meets careful manicure and love of variety, spaces of purpose, shapely delights, sounds of bamboo and all things of beauty take residence. To catch some of the Michael Cooke’s walk ‘n’talk tour, click here. 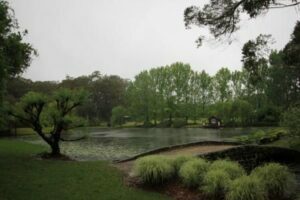 The Wamberal Garden, originally designed by Michael Cooke, was then taken over by Adam Eurell from Natures Vision Landscapes some years ago. Another mature garden with unique features has been impeccably maintained and reflects the owner’s passion for gardening. A wide mixture of native plants and grasses provided a relaxing private oasis. For landscaper Adam Eurell, the HeartKids Garden Tour also held personal significance. Adam’s own family has been touched by this organisation, as one of Adam and Danielle’s children was born with congenital heart disease. 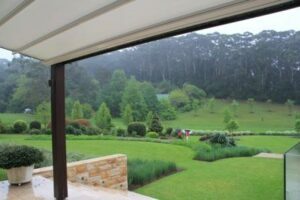 The final home, set on 80 acres in Somersby, designed again by Michael Cooke, showcased the genius of the designer. Here was showcased the constant communication required between designer, owner, seasons and land to bring together an ever-changing work of art. Patterns and painting in symmetry form landscape design techniques, and wondrous scenery unravelled the further into the property we went. The spa room, set along the water’s edge of a picturesque lake is entirely removed from all the cares of the world. This sprawling acreage of character, including an orchard, was a fantastic climax to a perfect day. With umbrellas in hand, the 2017 Alpine Nurseries HeartKids Garden Tour was wet and wonderful – a visual feast of possibilities, inspiration, achievement, celebration and wonder. Guests were treated to a delicious lunch at Bombini Restaurant in Avoca, followed by a champagne afternoon tea at the Somersby property. HeartKids is a registered charity, dedicated to raising awareness and funding research into childhood heart disease. For more information: www.heartkidsnsw.org.au.